Frank qualified in 1978 and became a partner at West End boutique firm Somers Baker in 1982. The firm merged with Prince Kurz & Co to become Somers Baker Prince Kurz in 1994. 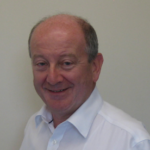 Frank specialises in international groups, accounting, with an emphasis on international tax planning. He acts for clients in the charity, property investment and professional services sectors. Frank is the firm’s senior statutory auditor. Outside of work, he acts as trustee for several charities, and relaxes in the evening singing with the Shabbaton choir. He has an inexplicable but deep affinity with West Ham United.